Globally regarded photographer Scott Frances brings warmth, enthusiasm and sumptuousness to the environments he photographs. 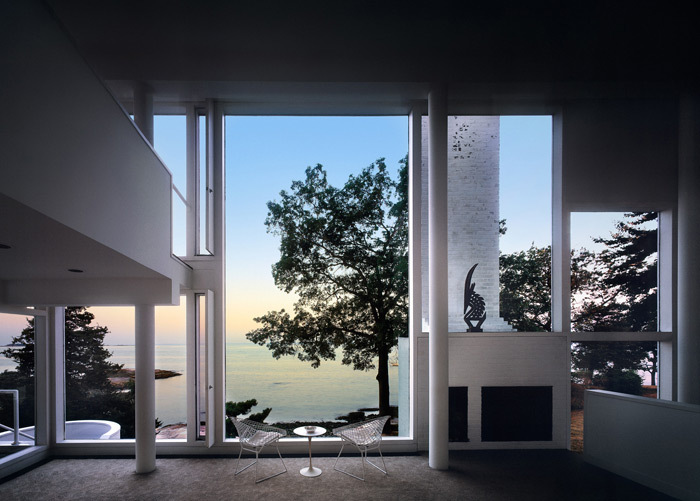 From the oeuvre of Richard Meier, to Mies's Farnsworth House and jaw-dropping residences in between, Frances captures the stories -- honestly and with respect to natural light -- of each place in his photography. Frances helped us mine his archive for Knoll; here are some of our favorite images along with a Q+A. 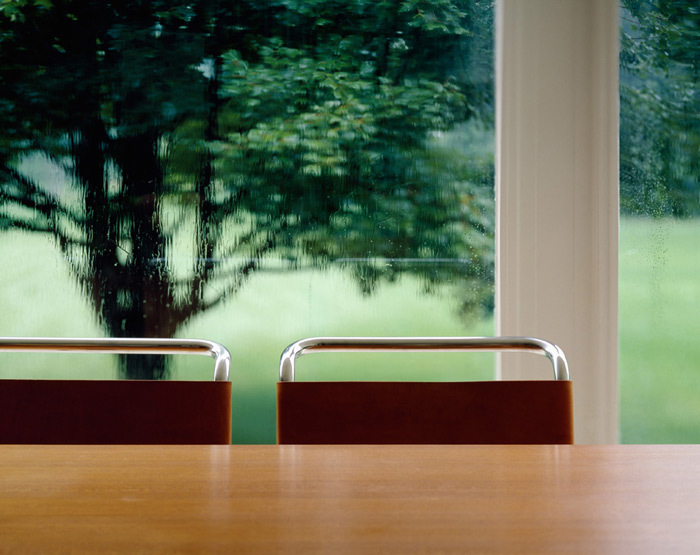 KNOLL INSPIRATION: Can you write a few sentences about what you do? 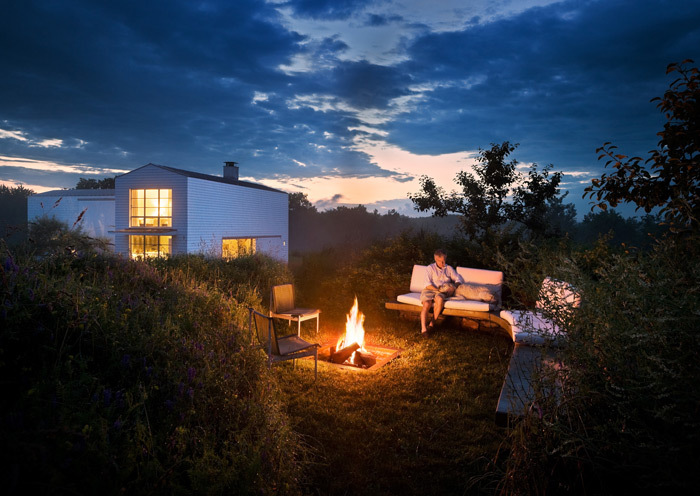 SCOTT FRANCES: I am an architectural photographer, which means I shoot a LOT of exteriors and interiors of homes, work spaces and cultural buildings, and the landscapes that these buildings stand with. 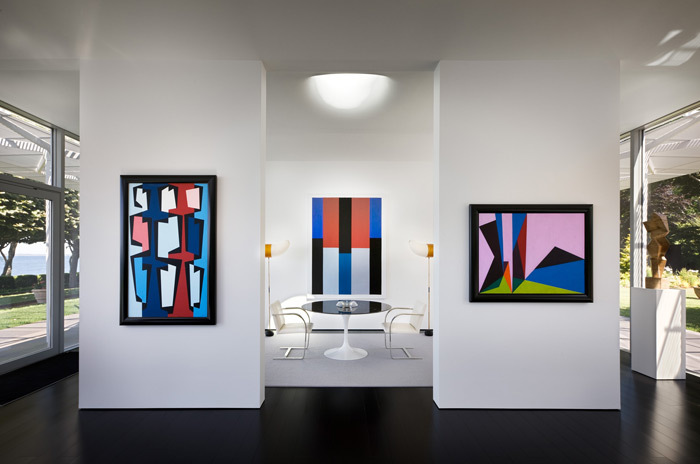 My style, my "thing", is rendering these spaces with an atmospheric quality of natural light, I do not supplement the lighting with the use of additional artificial lighting equipment. The light in my work always emanates from a logical source, whether it be the sun or moon, light coming through a window, from a lamp, a fireplace or even a candle. 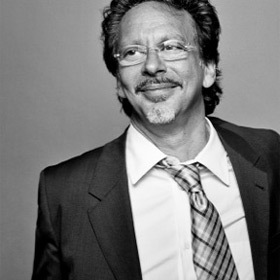 I am first and foremost interested in describing the air, volume, texture and "smell" of a room and the furniture within it. Please describe your first encounter with Knoll. My mother was a Shelter magazine editor and an interior designer. The heroes in my house were Eames, Nelson, Saarinen, Noguchi, Bertoia. 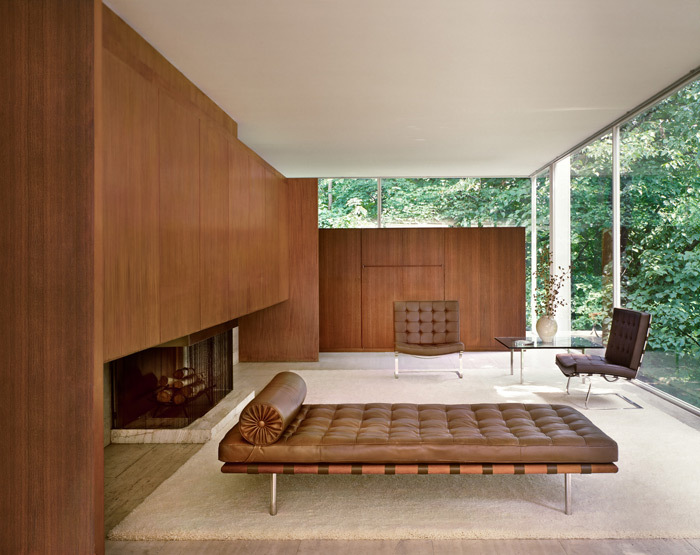 Do you have a favorite Knoll product? And Saarinen's tulip table, I have a 54" round marble topped one serving as my dining table. I believe in round dining tables. Circles fit perfectly in square rooms. everyone has a fair shot at a round table, and that was important in the crazy house that I grew up in. 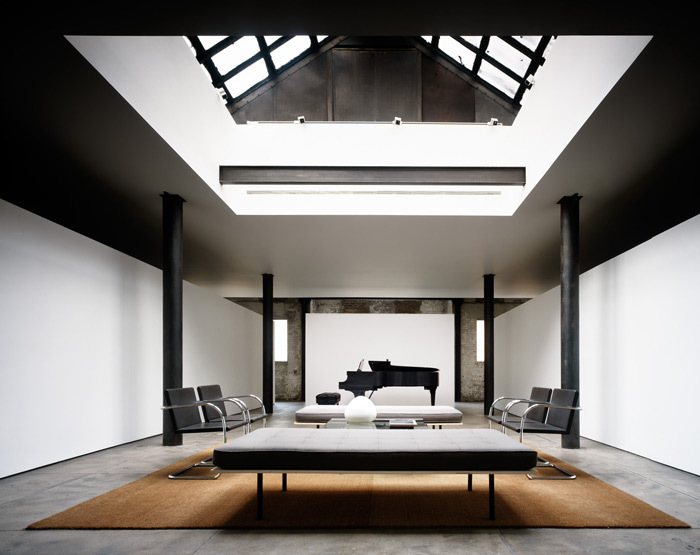 As a photographer, how do you think furniture can effect a space? Or advance a photograph’s story about scale? Furniture is, hopefully, scaled to the human body, when you see a chair you pretty much know how big it is, so you can tell how big the room is in which the chair sits. And furniture is the most distilled expression of each historical period of decorative arts and the societies in which the pieces were designed and built, so the furniture in a photograph really frames the experience of the viewer. What is your first design memory? Two things, both around the same time in my life. The Verrazano Bridge was one of them. For whatever reason it was important to my father to be one of the first cars to cross it. I was 5 years old at the time, I still remember the car filled with our family. The bridge seemed so long and fine to me, it still does. The other early design memory for me was the Unisphere at the 1963 Worlds Fair. I think it was my first encounter with stainless steel. I'm a big fan of stainless steel. That's easy. Central Park. It is the heart of the greatest metropolis in the history of civilization. New York wouldn't be New York without it. It's a miracle that, in this city of real estate lust, it was built in the first place. I think it must be Vienna. They've been great at it in every century since the reformation. They're still the masters. Another easy one. The Cooper-Hewitt. Some of your favorite buildings? Saarinen's TWA terminal. Saarinen's Gateway arch in Saint Louis. Kahn's Kimbell Art Museum. Meier's Douglas House. Bunshaft's Beinecke library at Yale. 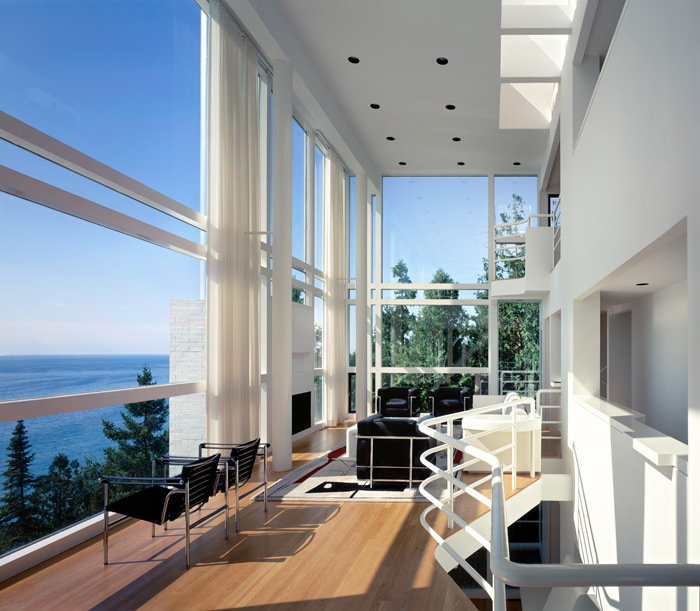 Richard Meier & Partners Architects. Douglas House. 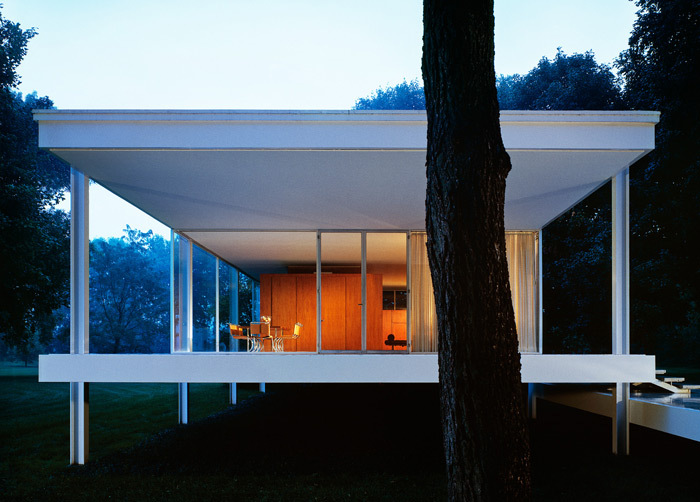 What was your experience like photographing Mies's Farnsworth House? Shooting the Farnsworth House was the biggest break in my career. I was a newbie in the business, 24, I went up to HG magazine to show them my portfolio and bam, they assigned the shoot to me. It was my first editorial shoot ever, I was a nervous wreck, and of course the weather was dreadful. The shoot couldn't be rescheduled so I shot in the rain and fog, which turned out to be fortuitous as the glass and steel building took on a dreamy quality. 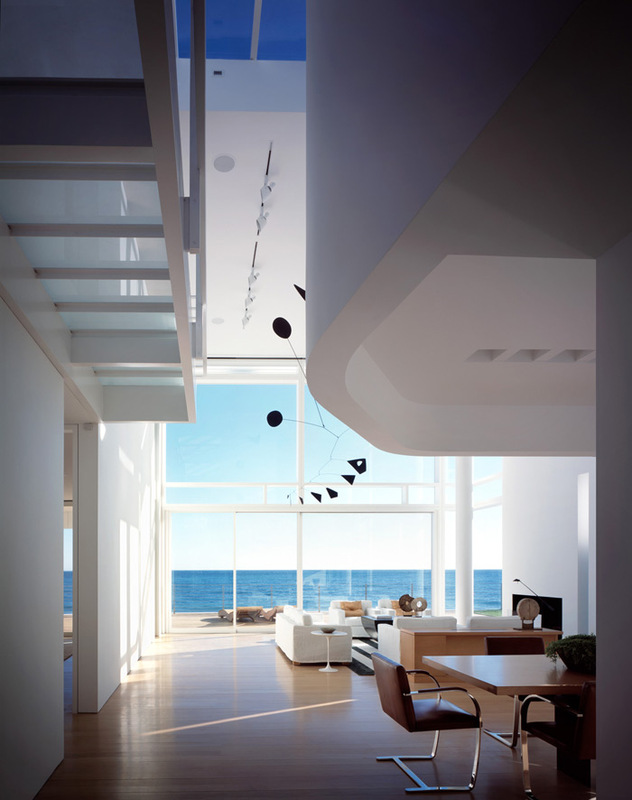 It opened my eyes to the idea that modernism could be soft and romantic. 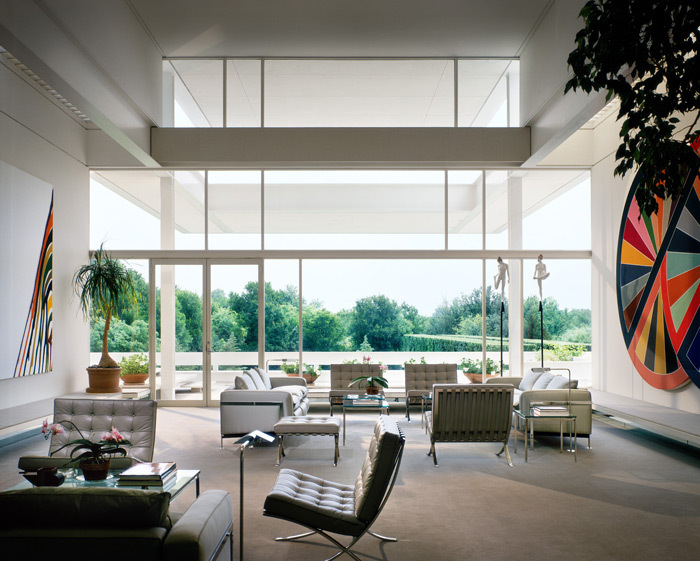 Shooting that house led me on a pilgrimage to Columbus, Indiana to shoot a portfolio of the modernist buildings there, which led to 3 decades of shooting Richard Meier's work, which of course opened a lot of other doors for me. You are what you eat, and what you shoot. Meanwhile, who is your design mentor or hero? What is the best-designed object in your life? Noguchi's paper lamps. They're beautiful to look at, they make the environment they light look beautiful, they are gracefully, they are portable and affordable. Perfection. A recent source of inspiration?